The title “Dirt” is held by the founding father of Hip-Hop's ministry minded group “Shadow of the Locust”. 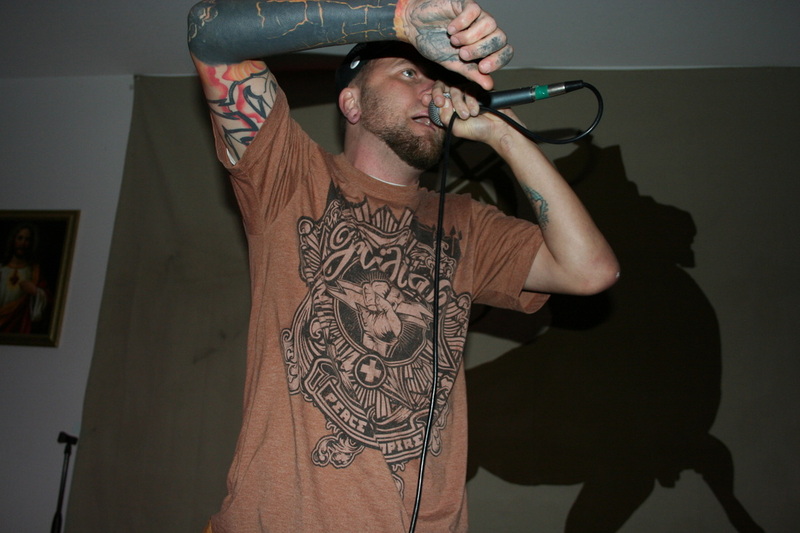 Dirt is an emcee. Around 1994, I (Dirt) was emceeing with a group called "Quest for Souls", which included five other rappers. The whole group at that time was seeking to glorify God through lyrics and bring forth a Gospel orientated message on stage. It was sort of a Sunday night ritual for most of us in the group to go to a church, (Horizon, located in the Claremont area of San Diego) and listen to sermons given by a man named Miles McPherson. I remember Miles as being a dynamic speaker, and he still is to this day, pastoring 'the Rock' church in Point Loma, San Diego. 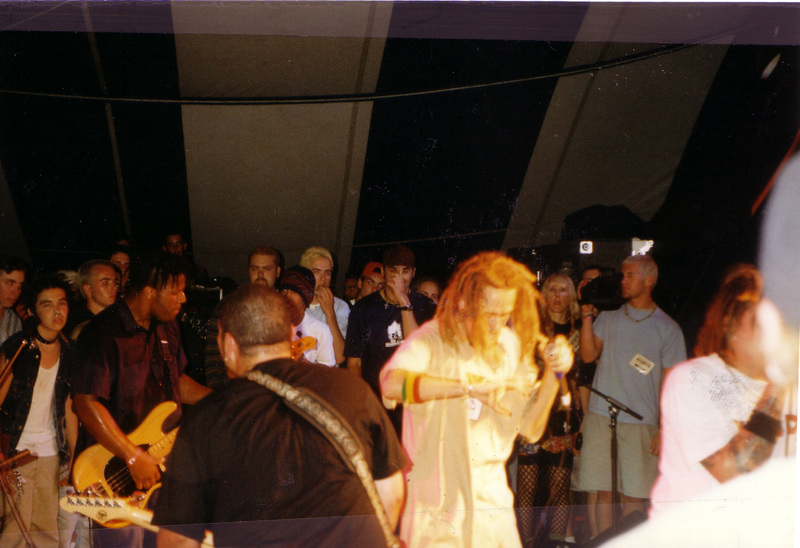 Dirt performing "Breathe Babylon" with P.O.D @ Cornerstone, 1998. I don't even remember what my emcee title was then, but I know I wasn't fully happy with whatever moniker I had chosen for myself (Maga Kong, suddenly pops into my memory). I thought it was alright but not really all the way there. I just remember at one of Miles' Sunday night discourses where he was talking about how insignificant we are compared to the Almighty Heavenly Father. At one point of the lecture, he looked out at the crowd and said something to the effect of, “Look at all you guys, walking around with your noses in the air, thinking 'I'm all this' and 'I'm all that', but guess what? You're not!! You're all just big ol' piles of dirt. Big ol' sagging, and stinkin' piles of dirt." Of course, at the time, the whole audience was cracking up because Miles was going off. But I was blaring grand prize sirens in my head. He was right. We are nothing but worthless dirt, especially without or compared to God. It's kind of funny, because that night I changed my name to “Pile o' Dirt”, but everyone just called me “Dirt”, so I eventually dropped the heading. 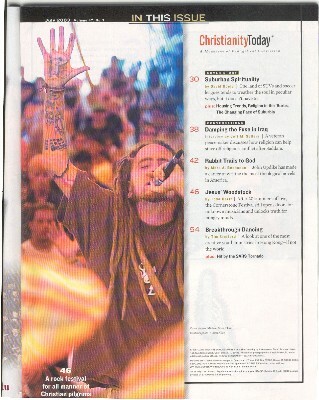 Dirt in 'Christianity Today' magazine, rocking the Tomfest stage. This is what “Dirt” means to me: According to the account of creation, found in the book of Genesis in the Bible, Adam and Eve were formed from the dust (dirt) of the earth. So, we all have the right to be called 'Dirt' (I wonder if you found that one funny). Also, when we die, we are buried inside the ground becoming one with the earth (dirt) again. But more importantly, “Dirt” is a sign of humility. I'm extremely interested in training myself to be a humble person. When I look around me, it seems that people (including myself) concern themselves with too many things that don't matter to God, and it's at these times that we need to be humble. Jesus said, "Whoever wants to become great among you must be your servant, and whoever wants to be first must be your slave-just as the Son of Man (Jesus) did not come to be served, but to serve, and to give his life as a ransom for many." To be a servant you must overcome the workings of pride and be humble in your submission to those around you. This is what the name “Dirt” represents, servant hood to my family, to other human beings around me, to my church, to my culture (Hip-Hop), and most importantly, to my God. 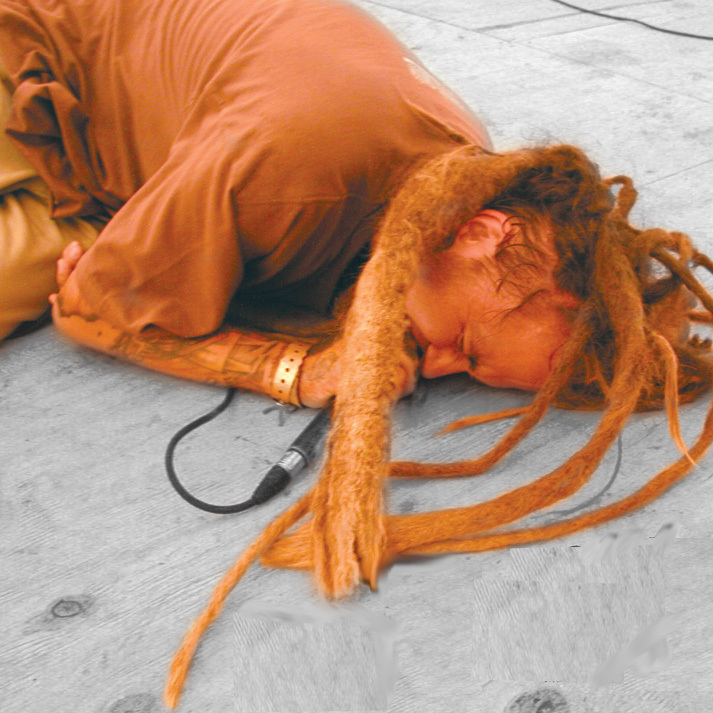 Dirt performing 'Blunted Edge', Cornerstone 2002. 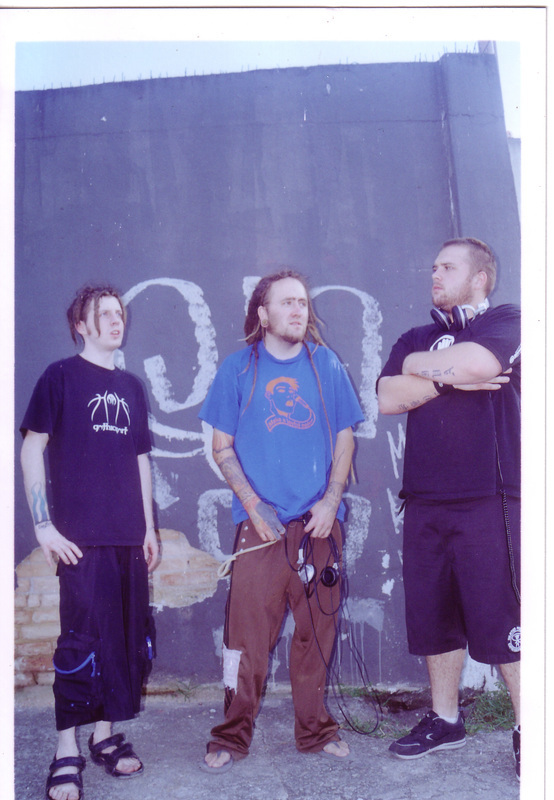 Noiz, Dirt & DJ Theatre, Brazil 2004. Other interesting thoughts behind the name are: the number of sand (dirt) grains are uncountable, just like God's thoughts towards me and my thoughts towards him. And when you mix water (the water of life) with dirt you get mud. And mud is thick and powerful (mud slides), a property I wish to be displayed in my lyric's (thick with creativity and powerful with thought). I could probably come up with some more, like how dirt is worldwide because you can find it on every continent, but I want to go eat breakfast. Just keep in mind that the two aspects of “Dirt” expressed here that I consider most important (humility and repentance) are both things that I have not fully mastered. But that's the point. My emcee title gives me something to aspire to be. It also reminds me of who and how God wants me to be; a humble servant. I’m a person who chooses to sincerely repent of my iniquities and try to better myself within my alliance to the Lord. I have faith that as I persevere (focused like locust) through the trials that God has decided to place before me I will get closer and closer to reaching the goal of being the real “Dirt”. 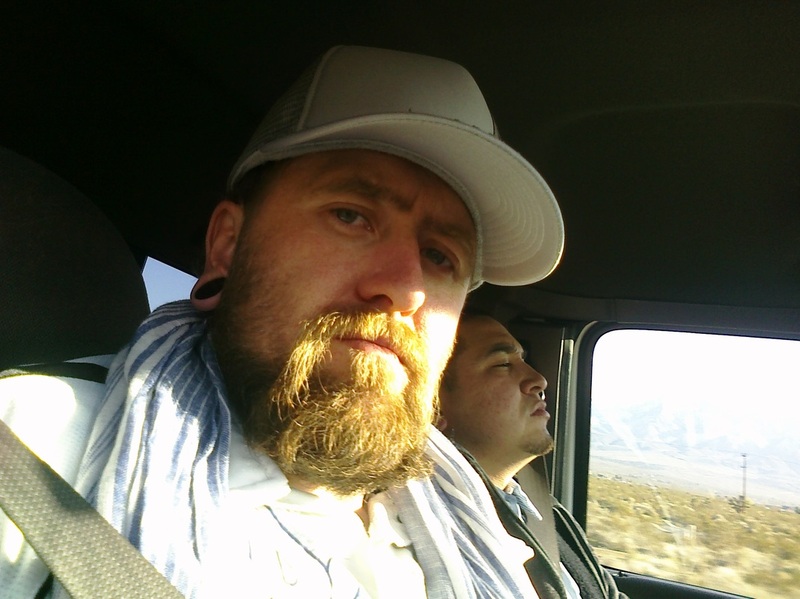 Dirt & Reveal on the Road, 2011.